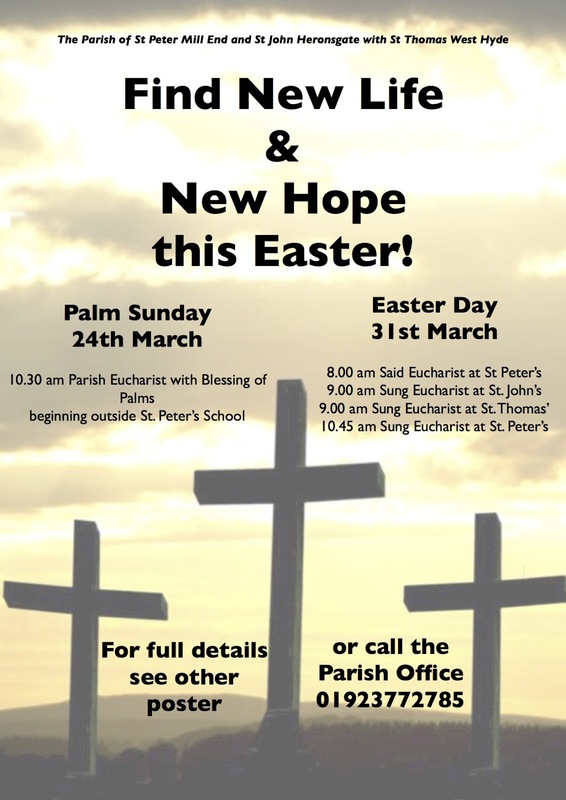 Due to illness there has had to be some change to our planned pattern of worship on Easter Day. We apologize whole-heartedly for the confusion and inconvenience that this might cause. 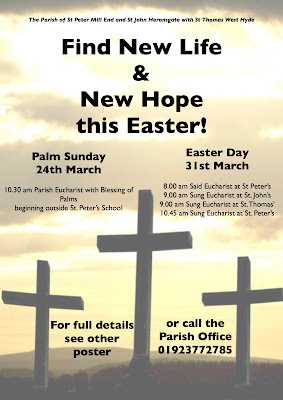 Herewith full details of our worship from Palm Sunday (24th March) through to Easter Day (31st March). Services are open to all to attend. 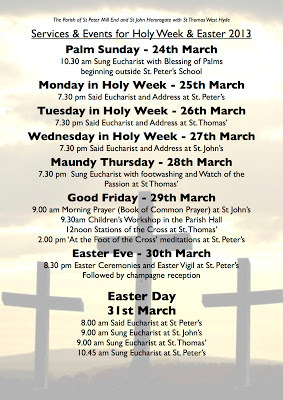 It would be wonderful to see you at some or all of it!